Rated a consumer guide "Best Buy". Patented Bi-Angular converging press arm system guides you through the optimal range of motion while applying resistance from two directions simultaneously. This increases muscle interaction by 25%. 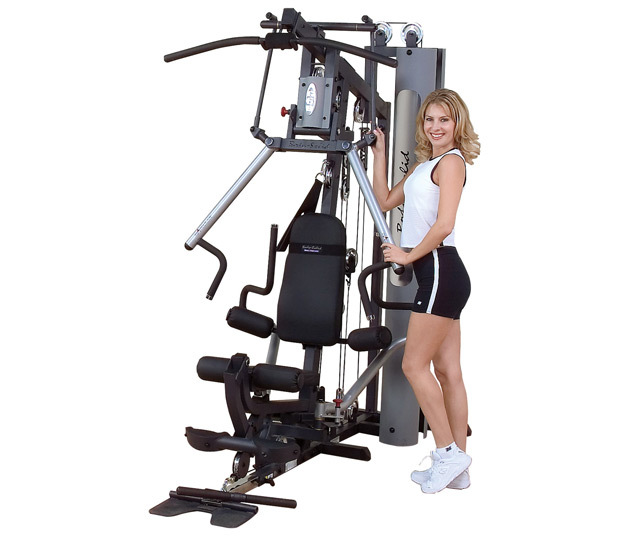 Comes complete with perfect pec™ station with adjustable range of motion. Press station and leg developer station feature the SmoothGlide Bearing System™ with biomechanically accurate pivot points for friction free movement. The Body Solid G6B represents quality without compromise.....it's a "Best Buy". Upholstery and all other components 1 year.